Today I start my lessons in International Baking and Cake Assembly in school! Looking forward to it. I am hoping that this class will hone the skills of my cake decorating and make me look like more of a professional than just a great home cook. This is what I did in June for my oldest. 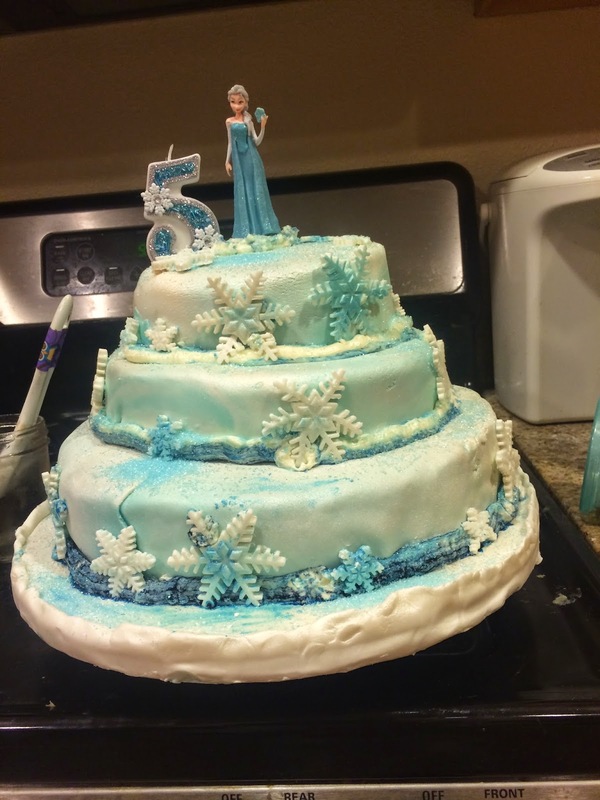 She wanted a frozen cake so like a good mommy I made her a three tier cake with fondant and blueberry filling. I am wanting to unlock my almost 3 year old brain because its her birthday next and I would like to prepare for it. It took 2 months of planing for the oldest's cake. Two years ago in October, the X officially became the X. I guess after two years, you'd say, it is in the past, hurt? What hurt? However last year it was survival mode. Find a job, hold the job. Feed the littles, feed one self. 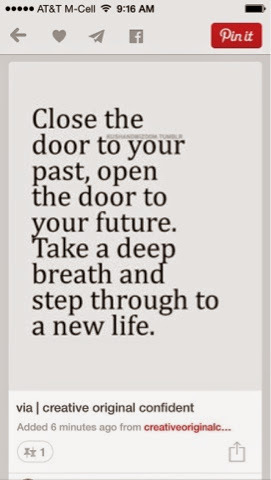 This year I can process a few things in my brain that were under lock and key. However it will be a huge undertaking of self allowance of the past. However it will hurt and sting, I really do need to process it. Can't stand on my own two feet with out this processes. More later. Ever since my 35th birthday my body has become my worst enemy. Now its Shellfish, dairy and nuts. I hate having to watch what I eat. Ocular migraines have started. While I was driving. Oh the joy of eating food and playing russian roulette with people's lives. Especially mine. I hate allergies. I feel yucky and I end up itching all over my body. Breaking out in red rashes. The sore throat that follows every attack. Even when I drink water, it still feels like it will never go back to normal. Though it does. I still can't leave the house without benadryl. I am thinking about getting an epi-pen. Never really thought that my life may go that direction, however today with the ocular attack, I may have to. Did I tell you all I hate allergies? My 6 weeks is almost up in bread class. Obsessively I've been thinking about everything I've done and everything that I would have learned if the class size was cut in half. Panic attacks and worrying that I wouldn't pass because my big claims didn't match to the expectations of my teachers standards. I'll be happy if I get a B in the class. B for Bread. Just survive till Thursday and then it will be Cakes class. I hopefully will get a better grade in this class. Then its off to Math! Having one of those thinking days. Evaluating my world, who I want to become, and who I want in my life. Yea, just one of those days. Nothing in particular is coming to mind when I actually sit and stare at a blank wall. I don't know if its just that time of the year when I expect something to happen and if and when it does is something I am having an issue with. Need to have that feeling of being lost in the world again. I feel that if I am grounded to one location that the walls are closing in on me. I've been very fortunate to be able to travel so much before the littles. I just would love to travel around with them. However I don't want to right at this minute. They are a little too young. When I was 5, my mother took me to Europe (in the winter), and I don't remember everything that when on. She did however she passed away so I have only slivers of memories. that's why I don't want to subject my kids to that same experience until the little little is 10. So where am I going to get lost to? Where my heart is leading to is Japan, Canada, and India. I really want to go west. Yes I know the Irony is to go West to go to the East however I didn't make up the geographical terms. The easiest trip would be to Canada, to Vancouver, BC. Then to Japan, start north and end in the south east. Then off to India. I still don't know i this is what the deal is with my life and the need for travel. I thought I'd seen the passport days gone since the birth of my littles. However I find peace and exhilaration when the jumbo jet is on the tarmac and the captain comes on the speaker doing the final prep for the flight attendants and then the unsteady beat of the wheels touching down in an unfamiliar place. This time its not the need to explore as I truly wish it was, it is the need to escape for a few days, to clear my head and to enjoy life again the way I use to. Maybe I shouldn't be, however life pushes you and pulls you in different directions and hands you opportunities that one can not pass up. So here I am lost in the world and do not know where to go. Any other worldly adventure seekers out there? Today has been one of those days where I wanted to go outside and sit in the rain while it was falling outside the classroom window. However I did not. Strangely, rain is calming to me. Not the bit track of "mountain rain" that helps little babies fall asleep, even though it relaxes me too, but there is something about rain falling from the sky and soaking every inch of my body. Hearing it crash against glass windows, the sporadic to steady beat and then back again as the clouds move in the sky. The feel of cold water splashing against my skin is intoxicating. The way after a hot and humid day, the rain brings cool soft air and a relief of what is needed. And yes I do stand out in the cold rain and do get soaked on occasion. I also like to drive my car somewhere and let the raindrops hit the roof of the car. If I did have a porch I would be sitting on a porch swing and breathing the fresh damp air that comes with the rain and just enjoying being in a moment of balance. While going to school I have a great wealth of insight of what I want to do to earn a living. Mostly I am drawn to the bakery scene, however I wanted to open up the space to have a small restaurant, maybe adding more chaos to the fire than I'd like however I may just have the bakery first then open the restaurant later. 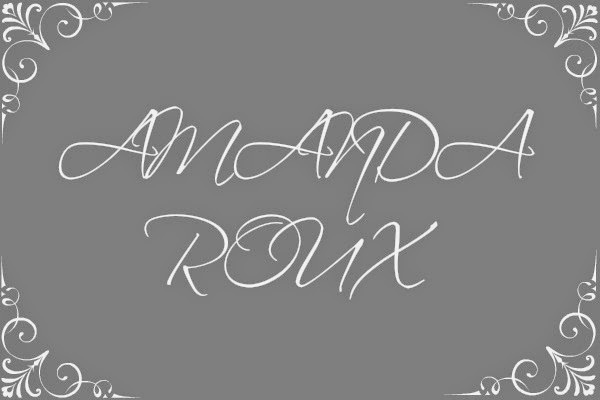 I don't know what to call them however a friend of mine gave me the idea of Amanda Roux (play off of a nickname I have at school). I kind of like that however my eldest is (as you all know) Bella and I could play off her name and name my small restaurant Bella Roux. I then would have to name something after Grace my second daughter. Any way, I thought of a concept for a bakery that opened up, not at the traditional hours that a bakery is usually opened early and closes early, but a bakery that opens up technically just after start of business day and closes just after dinner. It may or may not work because the bulk of the customers would be at noon and after 3 due to the dinner crowd. I say dinner crowd because that would be my target for the fresh baked bread and other sweets for their dinners. Hence the name Midnight Bakery. My restaurant would be only opened 2-3 days a week and it would make small plates of variety of seasonal foods from around the world. Almost tapas style plates. Also would feature my breads and sweets from the bakery. Good tie in, right? I am trying to make a design where I can buy a large space and divide it into two places in the front of house however keep the kitchen as one space however have more of a kitchen on one side and have the a baking kitchen on the other side. Only time will tell when I will have this and where. I may just open it up in Oregon since space is a bit cheaper than California. However it depends on where everything is with the littles and my life after culinary school. Watching "Good Morning Vietnam" and watching a master comedian at work. I always think of Robin Williams as an average guy that had a great responsibility to be on all the time. For most people they saw the guy on the silver screen. I saw a guy just trying to get not noticed. I think by working at the PlayStation Store, I had a rare opportunity to see celebrities with out a large crowd to play off of and to be themselves. However with him I knew he needed a crowd to survive. He loved to make the little kids laugh and he lite up. He came in with such apprehension that some one would say something like "HEY IT'S MR. WILLIAMS" and he would be swarmed with fans. When that didn't happen he relaxed a bit and just let things come and go however had to look over his shoulder for some one who would say something and he would be on. I guess it got to him that his star was falling and unlike Joan Rivers (RIP) he didn't see that silver lining to simi retirement. Well a few weeks late however he's always going to be fresh in my mind. Hell some of my best lines came from him and yet I didn't get the laughs he got. The first time I liked a comedy that wasn't a cartoon. Mork and Mindy. How he looked like the maestro from Mad Maestro (a PS2 game). I just wanted to show the similarity to him, however he did end up saying "throw it in", and I doubt he or his son ever played it. Good bye, enjoy and I hope to see you along with all the greats, when its my turn. Today we had a job fair at school today. I was quickly reminded why I can't have a typical bakery scheduled job. Work from 5 or 6 in the morning to 2 pm or so. My littles are important take that type of job off the table right now. Or even the reverse schedule where I go to work mid day and stay at work for 8-10 hours in the night. I think 7-3 would work however it would have to be some where close. 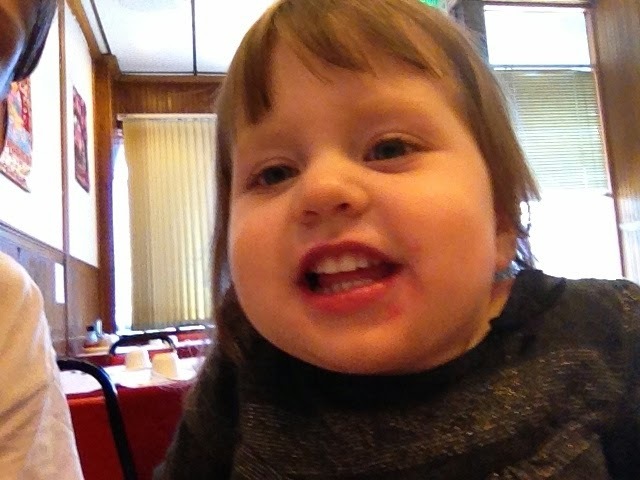 I am resolving now to get a nanny for the time I am at school for Bella, because a regular baby sitter is now hard to come by at this moment in time. How ever I don't know if I should work during the holiday season. It would give me some time to work into the early morning or late at night. Mentally, physically, and spiritually broken. I thought I was healing in leaps and bounds; however my actions and fears have kept me from realizing that I have only started to crawl out of the hole that is my past. I know I have made strives to get from the shadows of the past however I am trying to run very hard to just fall flat on my face over and over again. I must realize that it's not a sprint I am going through however a marathon. I have gotten over one or two hurdles, but there are things I have just now realized that I need to be comfortable with myself before I let another in. Even so it would be nice to have some one in my life that I can go over to their place or mine and cook and have fun with. However in the mean time, I need to enjoy me, myself, and I. 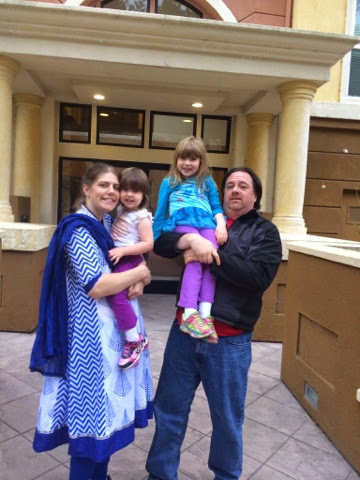 As some who read this blog know, I have gotten a bug to travel more, just not in the USA. However I can't do it now because of having no passport. So, knowing that, my travels are really limited right now and I've got a lot of time. 1. Swim - got a JCC membership for me and the littles, so I'm going to be swimming every day that I don't have the littles. 2. Clean - I know I don't clean very well however I got to make some effort, right? 3. Play with SugarVeil - my friend Heather, who's staying with me for a little while, turned me on to this product. I am trying to see if I can do some Henna tattoo work on a cake idea I am working on. Other than that relaxing at home and just trying to get everything in order for the next week or so. Don't really talk about them too much on here. They are the lights of my life and wonder why I was blessed with them. The oldest one actually has her own blog. I haven't updated it in a few years. I think because of a few thousand things that are happening in my life, that updating it seems to validate reality. She is almost old enough to write on it so maybe in a year she'll be the 6 year old with a voice and a place to vent it. The youngest I thought I would start it any day now. I have enough time to recap almost 3 years of missed time. Hopefully with three blogs and school and a part time job, I'll be able to do them justice. I have always tried to make sure that I am the best parent, even at the darkest times, I have tried to not push the facts. When they ask me a question about life or why the X isn't here I try to answer enough for the "Why" question not to be asked. Or I'll pull the mom maneuver of next subject please and move on with life. I keep thinking that I'm doing a disservice to them, by being bi-polar and having "bad days"; however they are pretty bright and the youngest has even just snuggled with me when I needed it. I think if I ever leave them I would make the worst mistake of my life and theirs. I think being bi-polar, I can look for the signs and get them help when it first starts and not just pass it off as a phase. Its going to help with they are pre-teens. Even now I want to take them and put them in therapy just so that the oldest can work out the issues with mommy and daddy not being in the same house, as she sees her friends. Though I think now that the oldest is in Elementary on up, the world of mix and match parents will be more normal than at a small daycare. I hope she'll be able to see that it was for the best, even though I didn't want to get divorced, however it seems like the best decision I didn't have to make. Sometimes I wonder if I am in a nightmare instead of a dream. Panic attacks, feelings of isolation in a whole world of people, the feeling of disappointment at every failed friendship or relationship. The people that I thought are my friends haven't called to find out if I am ok since taking a break from Facebook and only going on it once or twice a day to play a game. They seem to not care. Just the pure fact that out of the over 100 people that call themselves my friends, two to three really check up on me. Life is a dream for most. However people like me its becoming a nightmare that I can't wake up from. I fear that the littles will take what I show them and live the nightmare over and over and over again. I have friends that say call me anytime and then we can talk. I don't know if I do talk; they'll get frightened and think I am too crazy, well if they are reading this now I guess the cat's out of the bag, and run away and never come back. At least my cats try and comfort me. I say try because there is only so much a cat can do before it needs to get up and walk away. I guess since they are house cats, they can't walk away too far away. Resently, well more frequently now, I've been getting panic attacks. Don't know why I just am. Now they happen when I wake up and when I am going to bed. Also my heart has been thumping weird during them. Again I don't know the reason, it just is doing weird beats. The other night I thought I was going to have to go to the ER just to be told my heart is "acting normal" and I "should take it easy". Maybe I should take the pills the MD gave me for anxity and call it a day. Maybe I should talk to a cardiologist about it. What do you all think?? In other news, I am reapplying for a passport. I have always thought of traveling the world again. I thought it would be a few years more that I would travel to another country, however just to go north or south of these borders the great US government has stated a passport is needed. Gurrr... So I took the first steps in applying for one again. Everything is in order. Just going to need a few things before my Sept 27th appointment to get the paper work turned in. Then the wait happens. Hurry up turn things in and then 6-8 weeks a blue book comes in the mail and I can, in the words of a song "I can travel the world"... Again. Where to go? I was thinking Japan, Canada, Ireland, or an around the world tour of just because. However the littles are on my brain so it might be just a few small trips for now. 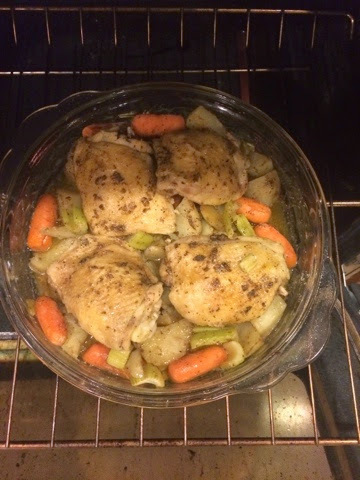 I made roasted chicken thighs with garam marsala this afternoon. However since I am the only one that tasted it I can't have an honest opinion to tell you if its actually good or not. However it does smell good. I wish this was a scratch and sniff blog because you would love it. I toasted the garam marasla before I put it on the chicken. I am actually working on another recipe with the garam marasla however thought I would try some other applications for it. I had some chicken and wanted to use it before it went south. I guess I should show you a white plate and something off to the side. However I am a bit more rustic than a fine dining experience. I feel like this sums up my friend and relationship existence. If people want to come into my life they can if they want to leave they can. 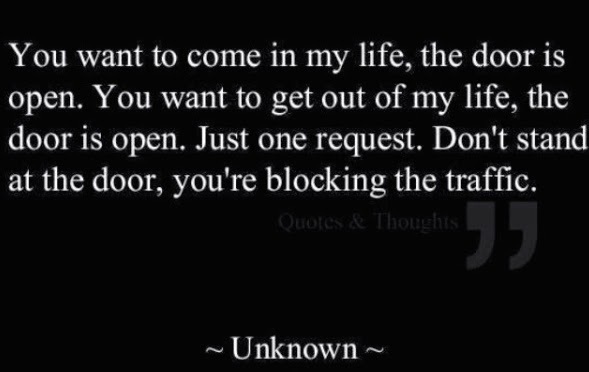 Do to me being me though, I have to say the door is always open to anyone, except the people who are total douchebags ie the X or anyone that has screwed me over. They know who they are. I just don't like people hanging out in the middle and leaving me wondering who or what they want from me. Some I know, they have some issues, well subscriptions, that they need to be somewhere in the middle to feel comfortable however it does get annoying and I really want to either push them in or out depending on the day, time or even second. I am working on not being in the middle of the doorway towards other people. I know it confuses them and having trust subscriptions (I rarely have issues any more), and how far I feel I can go without smothering them, really I do smother people if I get too caught up in their world. Less now however I can jump off the deep end. There are two breads I want to make for my school project. I guess I'll tinker with the later once I get the first one done. Dough, especially bread or pie, has been my focus during the classes I have been taking at school. I have been looking forward to the bread class since I knew it existed. I also opened my mouth when I didn't know the teacher was behind me, oops. Its been a rollercoaster of a class. First week I was stuck in a panic attack because the class was SUPER big. After being in classes of 6 people, 25 right off the bat made me panic. I guess since Foundations 2 had 30 people, it was a shock to people that knew me, I was having panic attacks. I didn't really care that I passed or got low marks because foundations 2 was all about sauces and side dishes, who would need the know how in a pastry setting, to cook risotto. This class is the Breads class, taught by a teacher that has a humor side however knows when to get down to business. Which I really like in teachers and want to emulate in some respects if I become someone's mentor. She's awesome. However I just don't know how to deal with it in a large class. I had to segregate myself to a small table near a window just to be calm enough to get through the day. I don't know why, just happened that way. 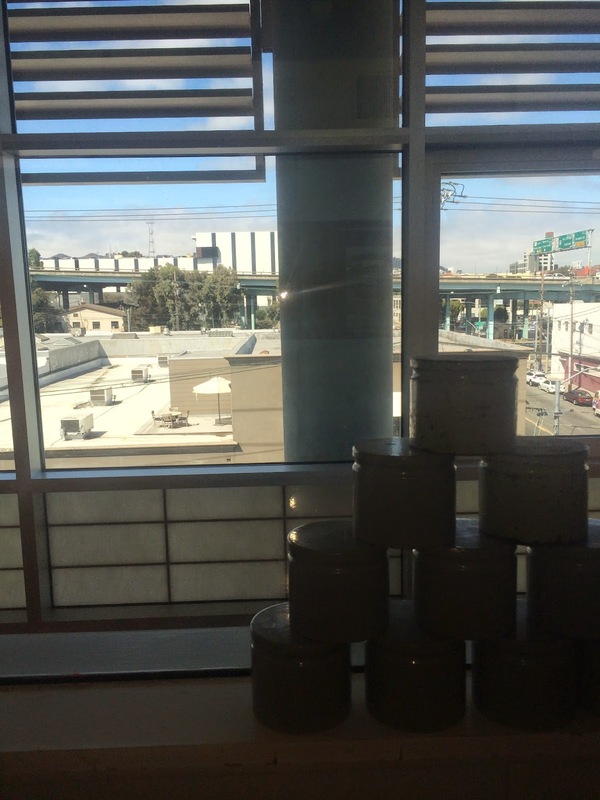 Got an awesome view of West San Francisco. I think this is fitting, at least for me. It is hard to say I need help or I really need someone to listen to me rather than the one that does all the listening. It is easy for me to shut down and distance myself from the masses to not hurt them or say something really mean to them and I can't take their friendship back. I have pulled away from a bunch of social networking sites because the people there weren't listening or if they were keeping silent because they didn't know what to say or do with me. All they had to do was send me a virtual hug or send me a text with "what's going on? are you doing anything? want to talk on the phone?" Or even Skype once and a while. Baking has helped, being lost in the making of the dough, not thinking of the worries that are outside my class room door. Being in a world that doesn't involve the hub bub of the real world, I can just be me. Everyone sees a different side of me however I can't just "Be me " as a friend put it. I really do try, however like I said in a previous post, people want me to be a certain way and then I have to be that way. When I change to my true self, people get confused and then they are the one's that get another persona so I just bow to their will. What a life? Dating? What do you mean?? I really don't like the dating scene. Never really did. Getting all pretty for a night of awkwardness is not my idea of fun. However it seems in a way I miss having someone to talk to, to get pretty for (even if it is for an hour or two), to laugh about a random thing that happened during the day and find out what happened in his life that day as well. To share common interests and to enjoy just being with that person. It is hard when I spend most my time at home shut in a world of Dr. Who and Farmville 2. I don't know if I am ready for it though. To boldly go where a lot of people have gone before. I have a few profiles on sites, however none of the guys spark my interest. Maybe I am not ready for the dating world. Probably suits me better than that of a desperate woman in search of Mr. Wrong, than waiting for Mr. Right and missing that once in a lifetime chance for happiness. Also I figure that I need to be happy with myself before I can be happy with another. And I haven't figured out that formula yet. Adding a bit more color to my wardrobe hasn't been easy. Like all good things it takes time and a scene of fashion, which I really lack, Especially being "girly". So I have found a few outfits that have caught my eye. Yes they are of Indian decent however they are beautiful and I don't mind wearing them out. I actually did a few times. I just need some nice shoes to make them all go together. I really like the outfits because I don't have to match anything. It's all ready done for me. 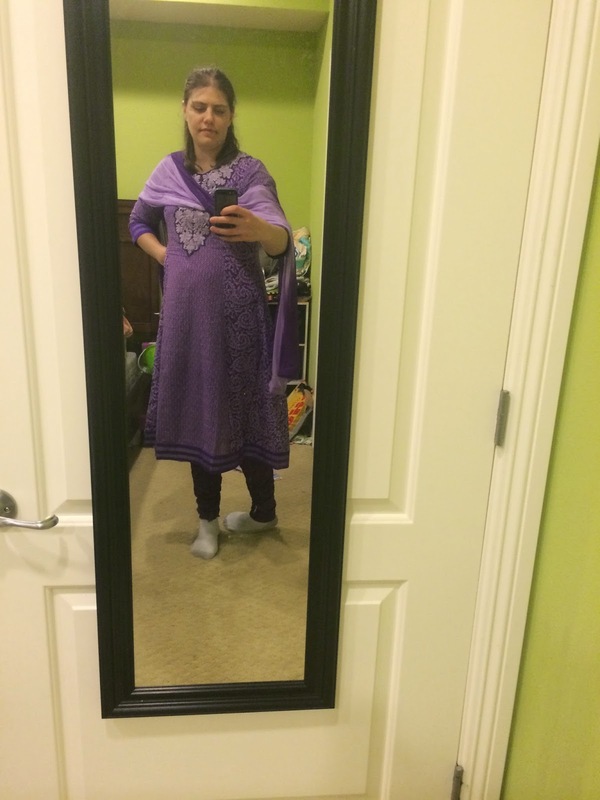 The pants under the dress and the dupatta (the scarf). No running around trying to find matching or coordinating things. Just one stop for the person on the go. I found these lovely outfits on a website I was very hesitant to get the sizes that they stated I should wear because with out going to an actual store and trying some things on to find the fit I need, I ordered them a size bigger and one I should have ordered two sizes bigger (I need to get one in a bigger size however I am still waiting on one more). Over all I am happy and they are very comfy to wear. I am going to stick with the ones I have for now because they fit and the weather is perfect for them and they are not cheep. I know it sounds weird, but for divorced families have no family photos of them with the kids they bore. It's always mom OR dad and the kids. None together. For Grace, the youngest, she has no photos past age 6 months to say this is mom and dad with me. He made that choice for her. However I decided, when he came to pick up the littles to give Grace a present that will maybe see that we tried to get along. So here is one of the many pictures we took in front yesterday. This is Grace's family. Fractured, yet together for her sake in this one picture. Two-thirds of the year is gone and another third is yet to come. Going to prep for a birthday and oddly enough looking forward to it. However it's going to be a little bitter sweet because it would be two and a half year reminder of the past. At least this year I'll be able to make the best birthday cake that she's ever seen. I don't know where a 3 year old would like to play, however since she does have an older sister and friends with siblings I have to see where I can do it. Maybe I'll ask around, see what hip place a three year old and 5 year olds want to be seen at. A friend told me that I had a "type of guy" or what some call standards in mind and I am setting up road blocks to some one who doesn't fit the 'ideal' categories however if he likes me enough to stick around that is fine too. In some ways he's right. I do, not only because it's me, it's also my littles I have to think about. What ever goes on in my life effects and affects them too. So here it goes, a top 10 of things I am looking for in a very, very long term relationship. 10. No marriage talk or commitment for at least 3-6 years. Maybe once and a while joke about it with mutual friends however its not for me, at least for now. 9. Must be comfortable by himself 50% of the time. I've got littles and I would like one on one time with them. Maybe just maybe there will be a time where the two world meet... Maybe. 8. Must be comfortable with himself. I have my own baggage to be carting around don't need a man that has more than I do. I work in an industry that has 12-16 hr days on a regular day and maybe 20+ on Holidays. Hope he doesn't mind helping out when big orders come in. 7. Must know that I am a person of many interests and love traveling. Updated passport is a must (Side note: I have to get mine in order too). 5. Must love Nerds, Geeks, and Tech gadgets, That's me besides that I can change the oil in my car, talk about sports, and even pound a pint or two of Guinness. I am all of that plus a trained pastry and baker. I can talk shop with most people and am always knee deep in learning something new. 4. Must have some thoughts in his head. I don't mean a Rhode Scholar or some one from M.I.T. (though it would be nice hehehe), I would like some guy that knows pop culture and can extrapolate an idea about something and trust in me that if you ask a question and I answer it, please don't go to Google to see if I am correct. I will google it myself if I am unsure or say that I don't know and we will look it up together. 3. Must love animals. I have two cats currently and will not give them up even for the man in my life. Sorry, I have commitment issues. 2. Must understand that my moods, even when in a controllable state, can be very weird. I can be very introverted after a long day or very extroverted and want to go out to a bunch of bars and hang out till the sun comes up. Its just another day for me. 1. Must know that even though I am 50% physically with him, I am 100% committed and would never cheat or lie. I will need the same commitment from him. Some times I wonder if this might scare guys off. Only time will tell if and when it does happen. Oh, right... that would require me to go out of my house some time to date a guy or two and require me to actually dress up a bit. Today a friend of mine stated that he was always there for me and any time I need to talk he's there. Good thought in theory. Bad in practice. When I want to talk he's out with his friends or tired from the days event or will get back to me on something I have a question about and doesn't get back to me. Then when he wants to talk I'm tired or have to go some place. Time isn't on our side, so to speak. This is as much interaction I get from him once or twice a week. So the question is: how many chances do I give one person before giving up and joining a nunnery? I give leeway but for most of my friends its the same story. No one seems to really care that I am away either. it seems they go on with their lives. Oh well. I have this blog, which no one seems to leave comments on, so I don't know if I'll get any feedback or suggestions on how to deal with the no friends no relationship thing. If you do read this please let me know.